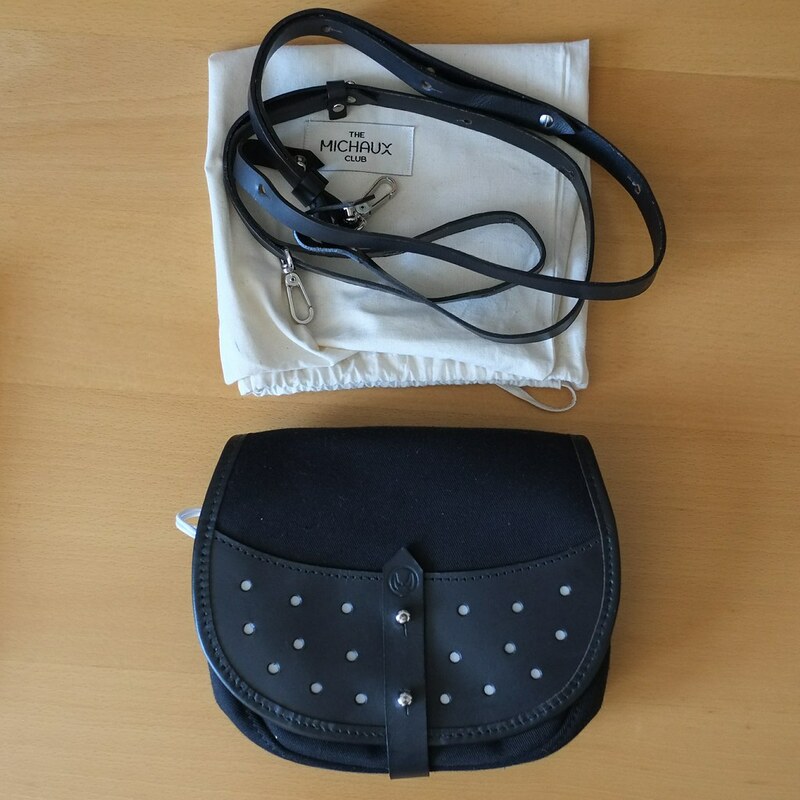 The Shadow Saddle Bag is made from waterproof bonded canvas and finished with leather trims, featuring the signature Michaux reflective 3M Scotchlite material, to enhance visibility when riding. 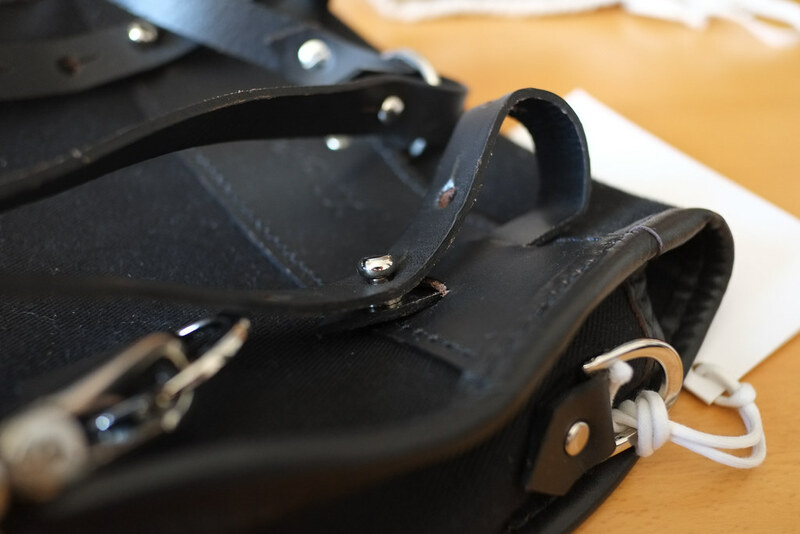 It’s immediate to the touch that the quality of the canvas used is very high, and as with the Weekender, the Shadow feels like it’s built to last. 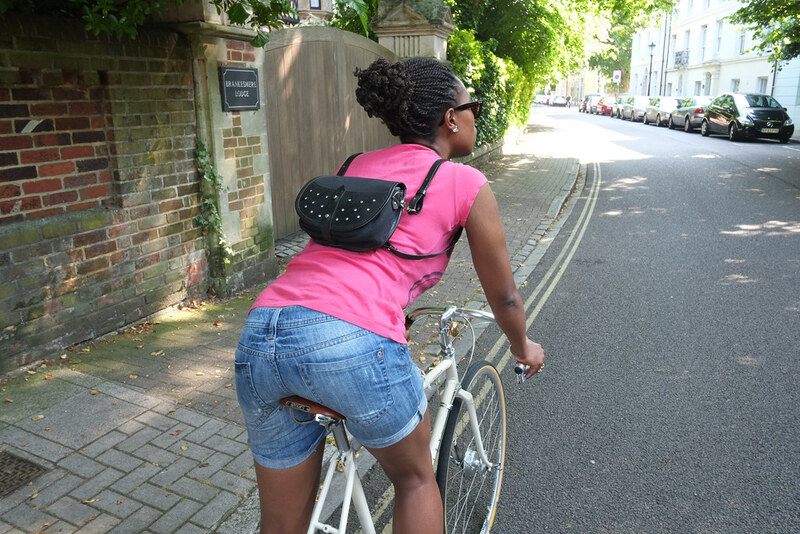 If you’re on the lookout for a larger bag in a similar design to carry all your work bits and bike lock in, they are available from Michaux: the Shadow however is ideal for a leisurely ride or a weekend pootle on your bike. 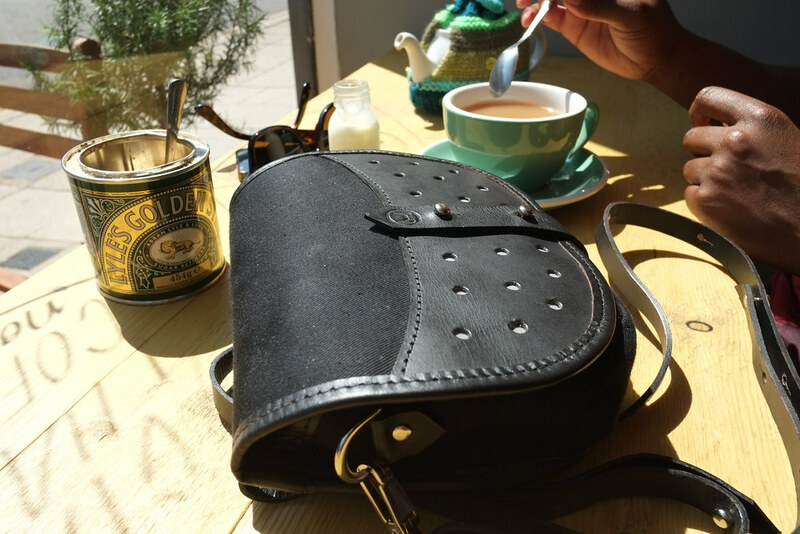 The Shadow is small, stylish and secure: small enough to attach to my saddle, along with looking good against the bike, and with its strong leather straps and metal fasteners, it’s almost impossible for the bag to come away while riding. 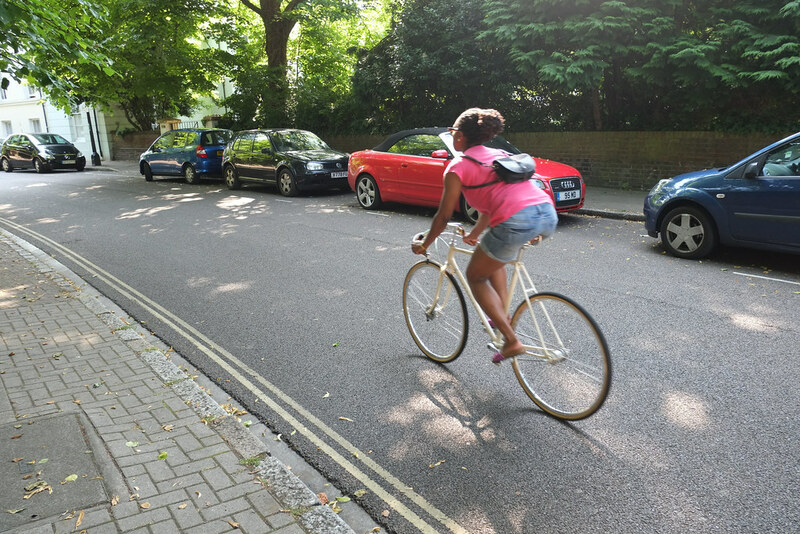 It also sits in place incredibly well if you wear as a backpack while cycling. 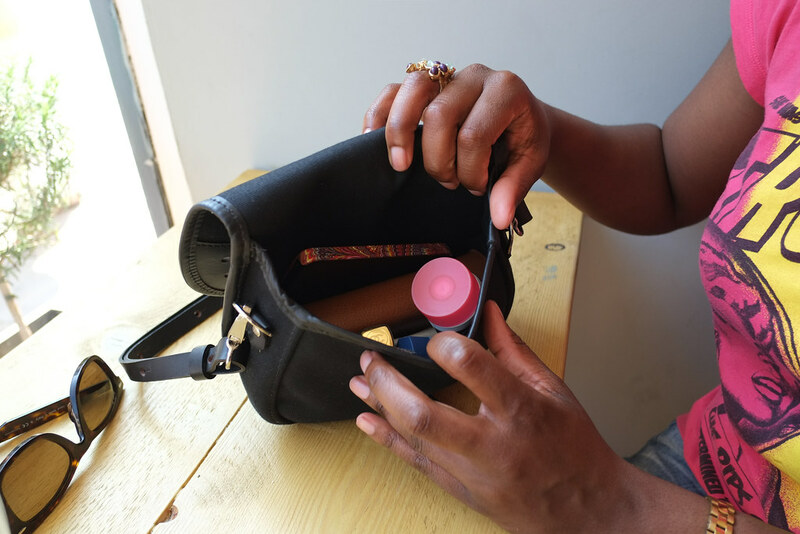 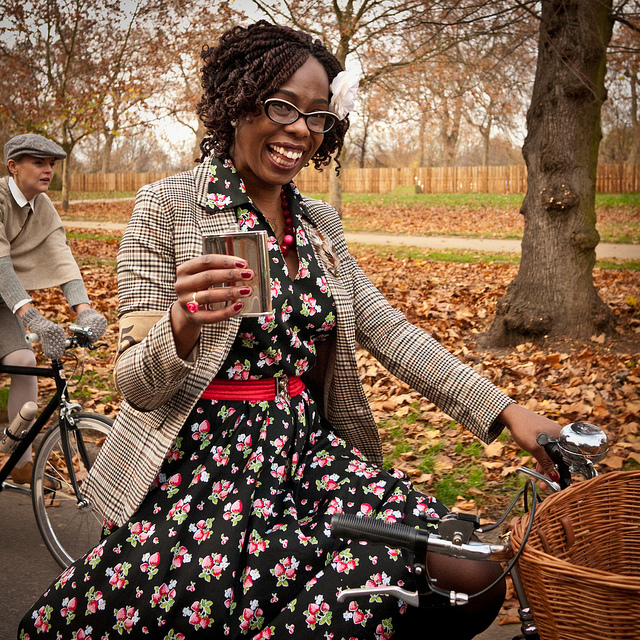 I’m pleased and excited to see the direction designer Rachel Bonney has taken with her new design, making a smaller handbag perfect for when you are on your bike and and don’t plan on carrying lots of stuff around. 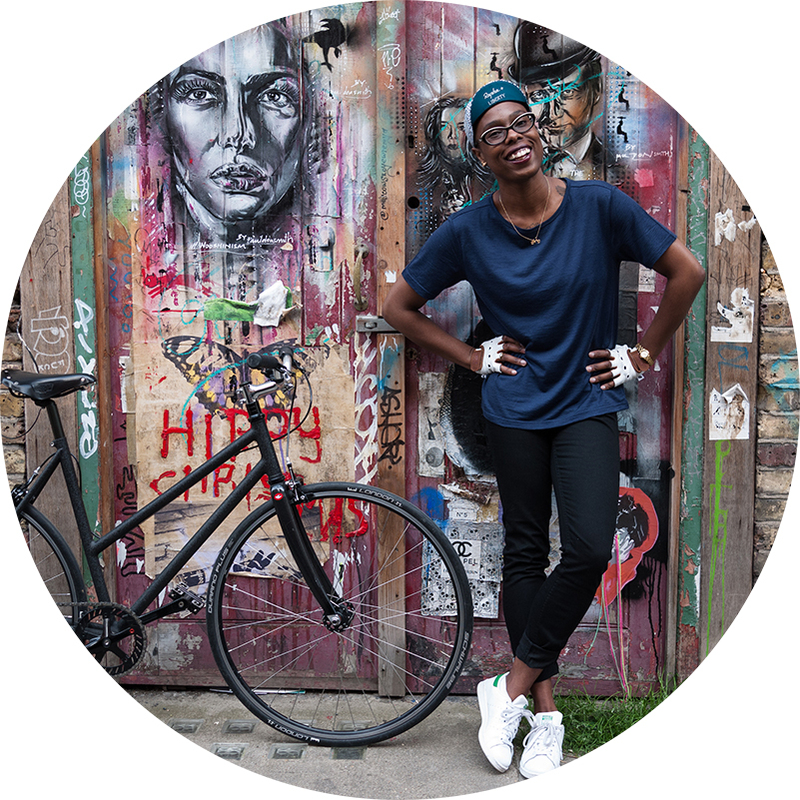 Once again, Michaux show that style doesn’t have to be sacrificed for practicality – it’s a fashionable merging of the two, and with its classic design it’s sure to be used rather often while off the bike too. 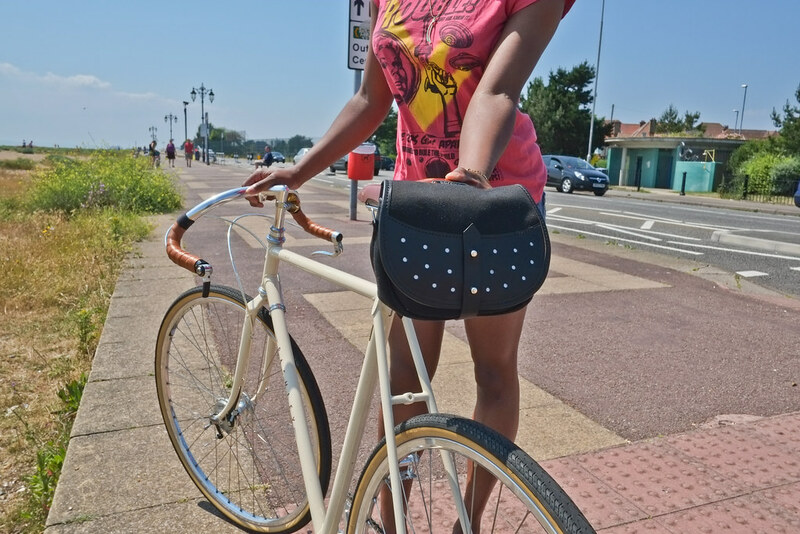 The Shadow Saddle Bag retails for £150 & is available in Black, Olive or Claret from Michaux. 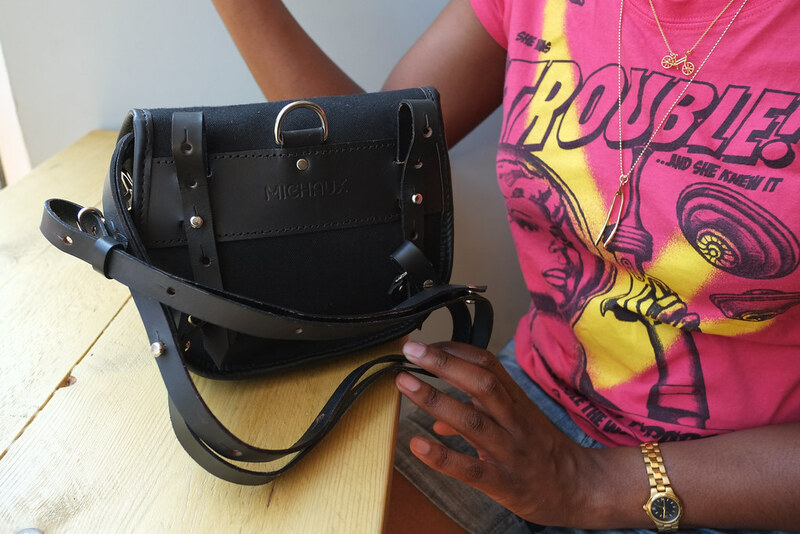 *This bag was kindly gifted to VCG by Michaux for a review. 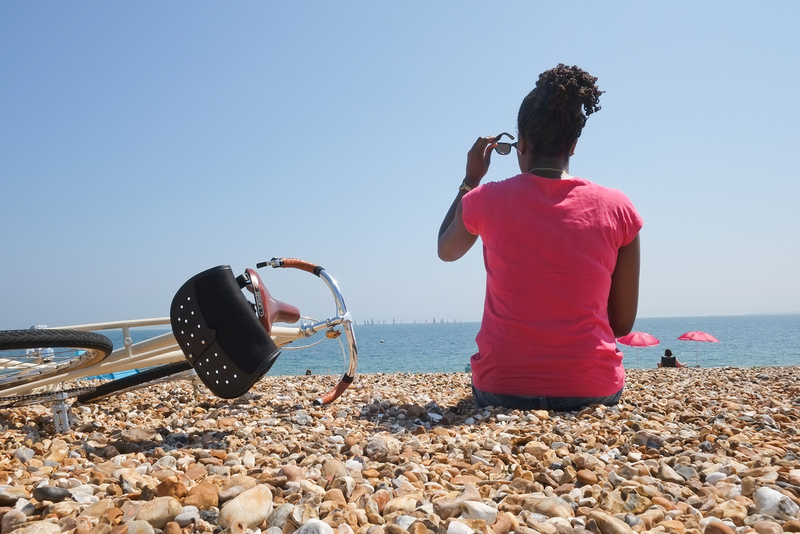 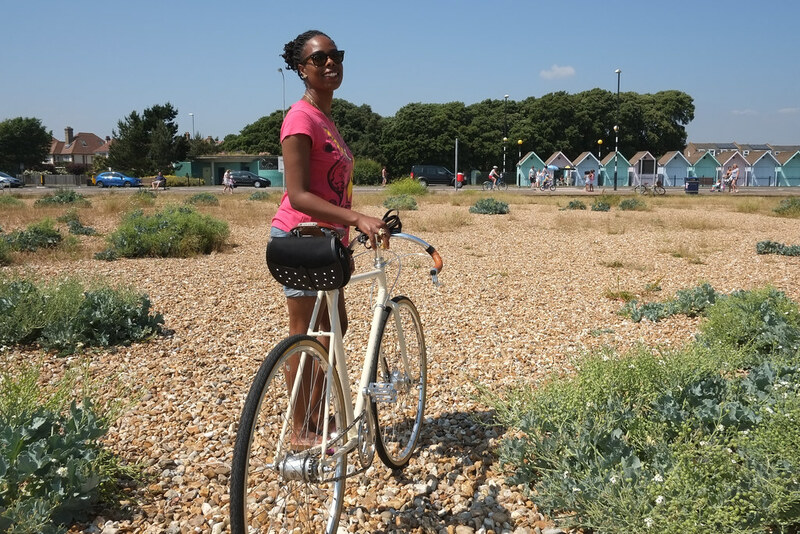 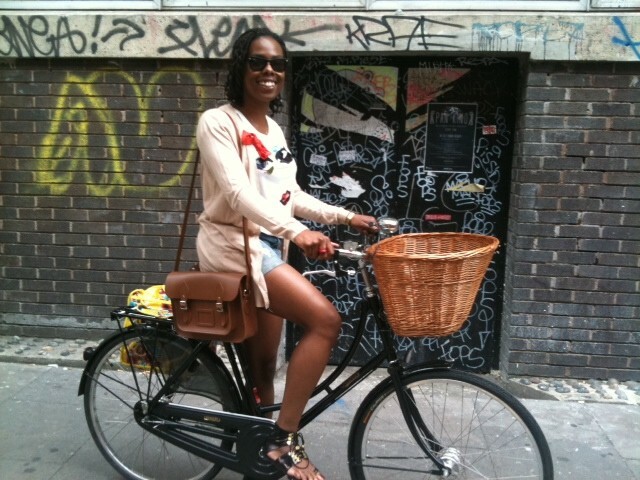 I am soooo jealous of your seaside cycling!